Summer might have passed but that doesn’t mean you can’t still try and squeeze the last few weekends of clear skies and indulge in one of the greatest American Traditions. Barbecues are like Christmas that you can have whenever you want, wherever you want. If you can’t wait to improve your grilling game until next year and want to get the practice in now by making some grill snacks, check out our 13 tricks to improve your grilled food and become a barbequing legend in just a baker’s dozen of simple steps. It doesn’t matter if you use a gas grill or charcoal grill, you still need the very best fuel to achieve the very best grilling results. There are tons of different fuels types to investigate and use for your grill, and while it might seem like simply a means to cook the meat, the type of fuel can actually impact the flavor of the food, introducing you to a whole new dimension of tastes. For an improved experience, you might also want to consider getting your hands on some wood bits, which will add a beautiful, rustic, proper-home-cooked-BBQ taste to your food that will take you all the way back to the very best grills of your childhood. If you want an extra burst of flavor, then look for wood from fruit trees such as apple, peach or cherry to give your food that delicious smoky aroma and taste that you thought you could only get at BBQ joints. If you are in the wilderness using camping grills, you can find branches around the area to stick in the fire. Marinating the meat before grilling it will transform the flavors from something that tastes good to something that tastes out-of-this-world amazing. You can choose any kind of sauce to marinate your food, all of which will add delectable flavors and make your meat the talk of the town. But the marinade doesn’t just make the food taste better. Certain types such as citrusy, acidic marinades can also help protect against heterocyclic amines, also referred to (more easily) as HCAs. These carcinogens are found in meats such as chicken, or beef and are caused when the meat is cooked over an open flame. We know that sometimes the desire for a barbecue strikes without much time for preparation, so you can’t do much with marinating then, but even a couple of hours will do wonders for the taste and health of your grilled food. Everyone needs their personal space and meat is no different. A barbecue can be an exciting gathering and you’ll no doubt be clamoring to get everything on there so the party can really start, but you’ve got to have a little patience. Too much meat crowding the grill will only make everything take longer to cook. Not only that but if you need to rearrange meat to allow for more even cooking, then you will struggle to move different pieces that might need extra cooking time. For the best results, always ensure that you leave part of the grill exposed (and don’t listen to anyone else telling you’re doing it wrong, it’s your BBQ, not theirs) so you will be able to evenly distribute the meat for a more level cooking result and ensuring that nothing ends up half-pink inside, which nobody wants. Your early barbecues were probably filled with meat-pressing when you were young and ignorant, but as much as the sizzle is one of the most satisfying sounds in the world, and you’ll see the flames rise like they are engulfing some Biblical heathen, doing this squeezes those precious flavor juices from the meat. A cooking thermometer is a tool that will revolutionize your grilling and your cooking in general. Gone will be the days of slicing into meat and losing those sweet juices, gone will be the times of still wanting to give it an extra 5 minutes just to be sure, and end up overcooking the whole thing, and gone will be you sitting paranoid a few hours after eating, wondering if you’re going to end up vomiting during the night thanks to undercooked food. Yeah, we do love our meat thermometers. Simply sticking the tapered point into the middle of the meat, whether it is poultry, pork or red meat will give you an indication of its temperature. You can use a temperature guide that you find online to check if the current level is acceptable, and if you see the Fahrenheit ticking over what you need, you’ll know immediately it is time to take it off. While barbecues are very much a take-what’s-ready affair, you still need to get to grips with cooking times to ensure you don’t over or underestimate when something will be ready. When you and your guests are surrounded by the smells of grilled meat, the stomach will naturally start to yearn for something to fill it, and you don’t want people getting hungry, or you might have a riot on your hands. Before getting started, check what types of food take longer to cook and plan accordingly. Things like chicken and pork will typically take longer than steak and burgers, so you can throw those on as soon as the grill reaches its optimum heat to ensure that they will be ready. Things such as vegetable skewers or corn can be saved until the end when you’ve got some extra space on the grill. 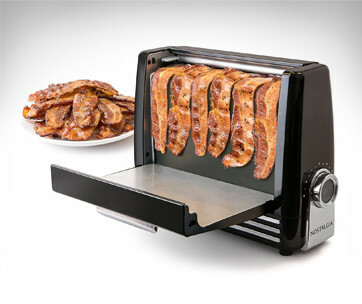 To make things a little simpler for you if you find yourself running ahead of schedule but without the space, you can use an indoor grill to keep pieces warm until everything else is ready and bring it out once that last slab of meat is torn from the grill and slapped happily onto your final guest’s plate. 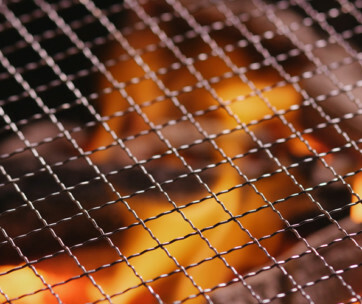 Make sure you check how to maintain and clean indoor grill. Salt, pepper and other seasonings are always tempting to add to the grill to bring out the meat’s flavors, but as attractive as this sounds, you do not have to do it. The grilling process will naturally bring out these flavors so you really only need to add slight enhancers to improve the taste. Applying salt before grilling allows it to soak into the meat and create a higher consistency, whereas salting while cooking will add that burst of flavor, but be sure not to add too much, or you’ll find people chugging their beers and maybe talking about ordering a pizza. Again, the barbecue is so exciting that you want to get everything cooked straight away, but letting the grill heat up is crucial to ensuring a successful grill party. 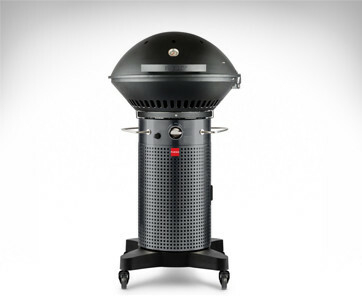 Depending on the type of grill you are using, you will need to wait for at least 10 minutes for a gas grill to heat up, and at least 20 for a charcoal grill. This should provide an adequate amount of heat for you to throw your meat on and start cooking straight away. Before doing though, be sure to scrape away any gunk and goo from previous grills, contrary to what others say, it does not add to the flavor. While you’re waiting for the grill to heat up, relax, have a brew or get everything else prepared so you’re not rushing around later on. And by that, we mean using the vent on your grill. The vent and the lid operate as fire control to allow you to have just a little bit of autonomy over the size of the flame. 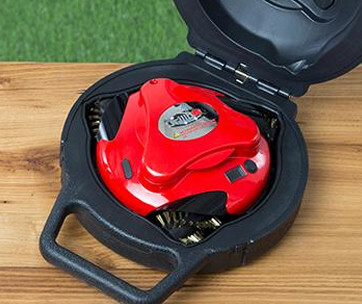 With the lid and vent open, you’ll get a larger flame as more oxygen will be sweeping in and stoking the fire, quite literally. On the flip side, closing the grill with lower the heat and give you that succulent, slow-cooked juiciness so beloved all across the country. Depending on what you are cooking, you can alter the size of the flame by playing around with the vent and lid. It can be adjusted when finishing one type of meat and starting another and you’ll wow your guests with your mastery over the fire that hasn’t been seen since the Stone Age. Dads around the country will slap you on the head with their gold-plated spatula if you dare to flip the meat and many believe it should only be done once during the cooking process. But those dudes at Popular Science have pointed out that flipping the meat regularly actually allows for a more even cooking on both sides. And that’s not all. Flipping constantly will actually make the food cook faster too, even though it is on a low heat, so you can go from fridge to grill to plate 30% faster than if you adhered to the Law of Dad. Hey, don’t argue with us, it’s science, dude. You know those cool diamond patterns you get on meat at BBQ restaurants? You know how you’ve always tried to do that and failed miserably, instead of looking like the world’s saddest checkers board? Yeah, we know. Achieving the professional diamond grill is not as hard as you think, though. 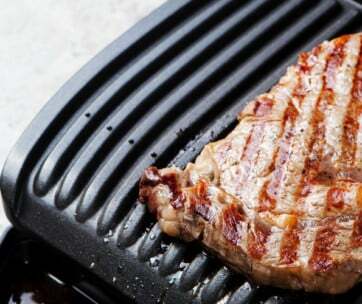 All you need to do is imagine your grill like a compass and place it pointing to North-West at first and then shifting (but not flipping, not yet) the tip of the meat to point to North-East. When this is completed, then you can flip it over and repeat. Guest will be so impressed, they’ll think you had the steaks delivered, but we’ll both know the truth. To ensure that everybody has a good time and doesn’t succumb to nasty bouts of food poisoning make sure that you remember to clean your spatulas, your tongs, and any other utensils you use throughout the grilling. It can be easy to forget this will all the fun you are no doubt having, but there is nothing fun about cross-contamination from one type of food to another. 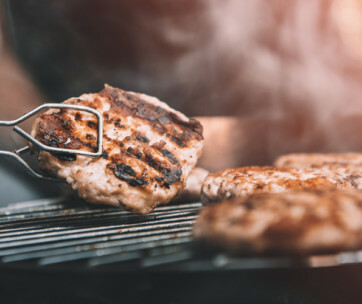 The heat of the grill should sterilize and disinfect any dangerous microbes that live on the surface of the uncooked meat, but it is always a good idea to be on the safe side. Furthermore, there might be people there who are against or allergic to eating certain types of food products, so honor their wishes and do your best to avoid using utensils with different foods. It’s what a good host does. The real challenge is when everything is cooked, though. Your grill will no doubt be caked in grease, marinade and shreds of meat that never made it to plates. After allowing it to cool, try to remove this gunk from the grill so you will save yourself hours of work next time. To make life easier for yourself, line everything with foil to make for an easy, post-grill cleanup. Trust us, you’ll be thankful you did. There’s quite the debate over whether or not letting meat rest after cooking will help it absorb the juices, and we believe that yes, it 100% does help absorb the juices and add to the flavor and generally create an unrivaled barbecue experience all around. Letting the meat rest for around 5 to 10 minutes after taking it off the grill with gives these juices a chance to absorb and trap the flavor within. You might have people standing around, salivating like a starved dog, but teaching them patience will prove to be massively rewarding once they get a taste. So yeah, there is still some time until summer rolls around, but if you’re one of the lucky ones who still has a couple of weeks of gorgeous weather left, the make the most of it. Get yourself out into the wilderness, use all the BBQ hacks you can find, invite your buddies round to congregate on the porch, or celebrate something, anything, and throw a party to tide you over until next year. With your newfound barbecue knowledge, you’ll be considered God of the Grill.